As a Basement PC Technician (BPCT) there a good chance that you have an assortment of system and devices that produce a rather large amount of logs. As any good BPCT knows you must routinely review your logs for errors and potential security events. Depending on the number of devices you may have and the amount of data produced by each device this can seem to be a taunting task. This is were centralize logging can make your life easier and SPLUNK is the application that can help you do it. SPLUNK is like a combination of a syslog server and database. It can collect logs from any source and then index it in such a way to make it search-able by you. An effort to find a security related incident or root cause to an error involving multiple system that may have taken hours or days can now be reduce to a manner of minutes. Don't be surprise if you actually find stuff that you didn't really realize was happen on your network. The best part about SPLUNK is that is fits a BPCT's budget – It's FREE!!! SPLUNK does offer an Enterprise License if needed that provides additional capabilities such as role-based security, single sign-on and schedule PDF delivery. See the below link for a comparison of the Free License VS Enterprise License. 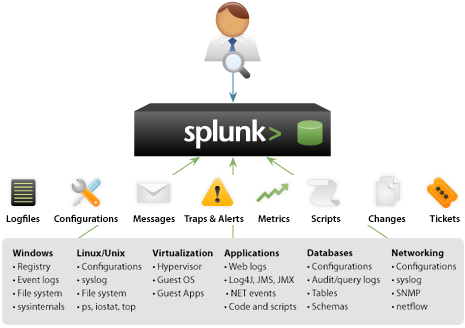 SPLUNK can be installed on a Windows or Unix/Linux system in a matter of minutes and offer a well documented and helpful support site to assist you if you encounter any issues during your installation or operation of the SPLUNK application. Want to get a head start on all the other Basement PC Tech out there? Well here your chance, you can download the “Developer View” of Window 8. Be the 1st in your circle to test drive Windows 8. The Windows 8 Developer Preview is a pre-beta version of Windows for developers. It can allow you a 1st glance of what’s to come. ISO available for 32-bit and 64-bit. Free Anti-Virus Software for EVERYONE!!!! Probably the #1 top issue that you will encounter as a basement PC tech is the removal of malware from someone's system. It's amazing how many system I come across that do not have a valid anti-virus software installed. I blame most of this to the fact that many new computer system are bloated with so much “trial” software that sometimes can leave the end user confused to what they actually have installed on their system. When it comes to anti-virus software, there is not reason why anyone should not be protected from the dangers of the Internet. There are many free anti-virus software application that do a good job of detecting and removing malware for free. Below is a quick list of some of these application. Note: Some of the application offer a “trail” of their upgraded products but it not necessary to participate in the trail to use their free version of the product.